Built on the experience and success of the proven Epsilon 3 range of XRF spectrometers, the Epsilon 4 is a multi-functional instrument opening new applications for industries such as mining, pharmaceutical or oils and fuels. These industries are obliged to comply with international regulations and test methods. Due to its low infrastructural requirements, Epsilon 4 can be placed next to the production line anywhere in your process. Its high-performance enables most applications to be operated at ambient conditions, reducing costs for helium or vacuum maintenance. The unique low-drift metal-ceramic X-ray tube, designed and manufactured by Malvern Panalytical, delivers compliant results for years without the need for costly re-calibration. The instrument can automatically process sample batches without the need for operator attention. Epsilon 4 is a highly flexible tool available in a ten Watt version for elemental analysis (F – Am) in areas from research and development (R&D) through to process control. For even higher sample throughput or extended light-element capabilities and in more challenging environments a 15-Watt version is available, which can even analyse carbon, nitrogen and oxygen. 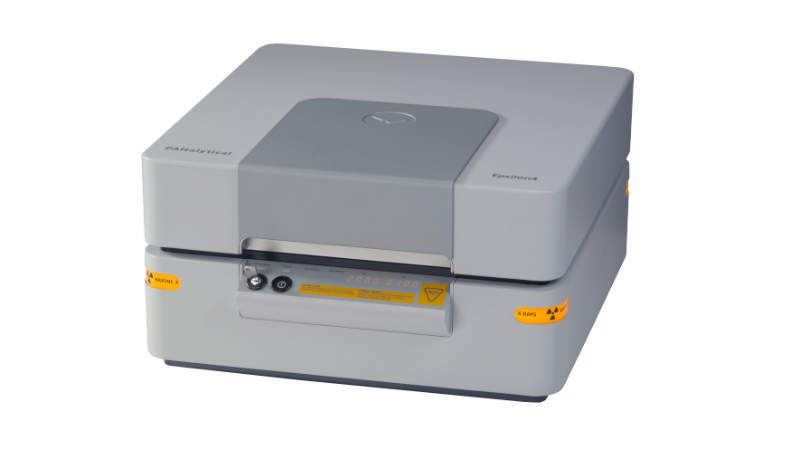 Product director at Malvern Panalytical Simon Milner said: “Epsilon 4 delivers the highest count rate in the market while little or no sample preparation is required to achieve very fast and reproducible results.